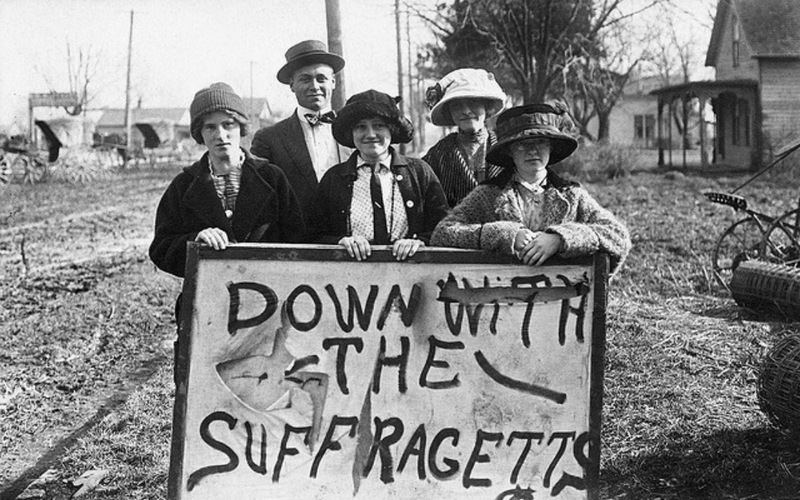 There were women and men who opposed the suffrage movement for different reasons and by different means, but are collectively referred to as Anti-suffragists, or just “Antis” in newspapers and magazines. Many ‘Antis’ based their opposition on the idea that women’s natural role, or womanly duty, was to exercise influence and reform through other means – through the example of her behavior and her gentle influence on men for the greater good. Denied By New Jersey People. 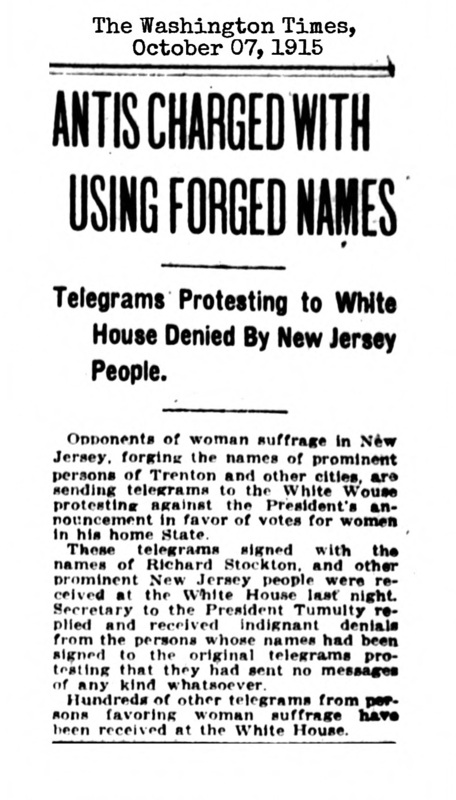 Opponents of woman suffrage In New Jersey, forging the names of prominent persons of Trenton and other cities, are sending telegrams to the White House protesting against the President’s (Wilson) announcement in favor of votes for women in his home state. These telegrams signed with the names of Richard Stockton, and other prominent New Jersey people were received at the White House last night. 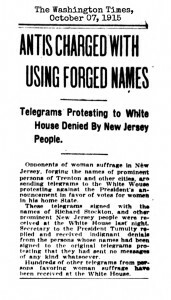 Secretary to the President Tumulty replied and received indignant denials from the persons whose names had been signed to the original telegrams protesting that they had sent no messages of any kind whatsoever. Hundreds of other telegrams from persons favoring woman suffrage have been received at the White House.